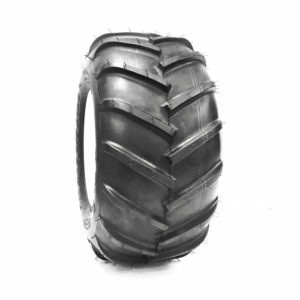 22 Mag Tires for Dixie Chopper Mowers, our most popular replacement tire for Dixie Chopper. Tire offers excellent traction and very heavy duty casing. Also used for many other needs for aggressive traction tread needs. The unique smooth tread design of the OTR 22 Mag offers a bar tread design for traction on firm or soft ground, snow and mud. The 22 Mag is built to a higher utility vehicle standard rather than an ATV vehicle standard, which means the 22 Mag supports greater load ratings than ATV tires. Need Wheels for our 22Mag Tires? We keep a good selection of aftermarket replacment wheels in 4 on 4 ” bolt pattern and 5 on 4.5″ with standard offsets. Call us for your tire and wheel custom needs. OEM inquires are welcome, we have OEM services available as well.